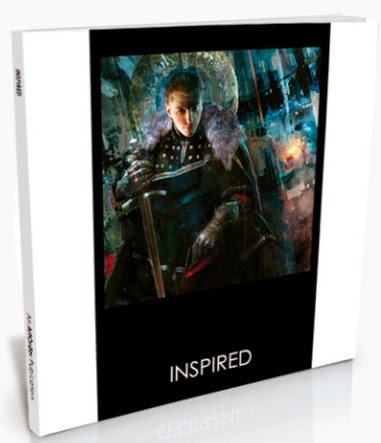 I don’t often do review posts, but every once in a while I see something that knocks my socks off, in a way that I think is important for artists to see, and I share it with you here. 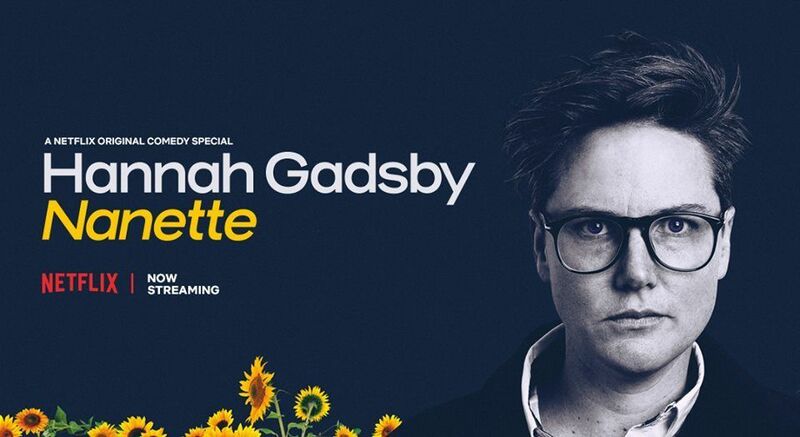 And Hannah Gadsby’s new special on Netflix, called Nanette, is important to see. This is a tough review to write, because I really don’t want to lessen the impact by giving anything away, but let’s just say Hannah Gadsby is a comic from Tasmania. Her special was uploaded as another one of the tons of stand-up specials Netflix has been uploading in droves. But it’s a bit of a trick. I don’t want you to watch it because of any jokes—not that it isn’t funny at points—but the stand-up comedy package is just a sneaky way to get people to see something impactful and thought-provoking, especially for artists. To call Hannah Gadsby a comic is like calling Henry Rollins a comic, just because he stands up at a mic and occasionally says funny things. It’s more spoken-word than comedy, but people get entirely the wrong association with the term “spoken word” — it’s not slam poetry. And I’m not the only one that thinks this is important for the art world to see. 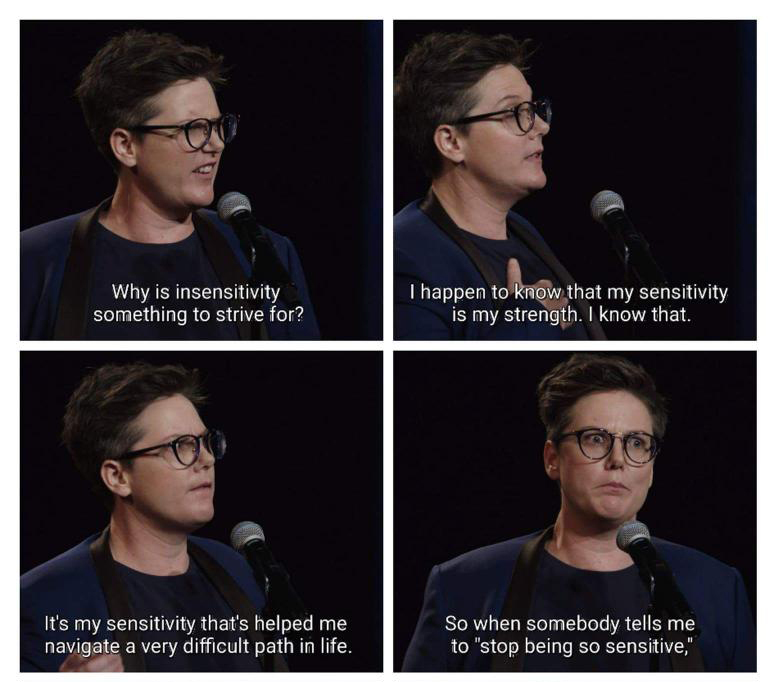 Check out this article from Artnet: Is Hannah Gadsby Today’s Most Vital Art Critic? (but if you don’t want spoilers, check it out after you watch Nanette.) Hannah Gadsby shows her art history background much more strongly than her comedian side, and addresses mental health and how it affects artists like Van Gogh & Picasso. And how what we know about artists as people affects how we view their art. 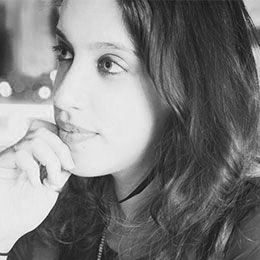 She touches on the issues of mental health for artists, how to reconcile loving an artist’s work with not being ok with their behavior and actions, and what responsibility artists have to their audience and themselves when they are making art. Thank you for recommending this because I think I would have otherwise missed it. I didn’t know her before this, but I am so impressed with her now. What a powerful, smart, honest, passionate statement. I’m so glad! Really powerful, right? Wow, quite the roller coaster. I went from laughing to being shocked. Thanks for suggesting this, otherwise I would have never watched that. A real eye opener. I did the same…no one had recommended it to me, I just happened on it on Netflix, and it blew me away.